This document covers the basics of creating a Windows share on a server or workstation and creating an address book entry at the Konica Minolta copier that will save a scanned document to that share. 3. 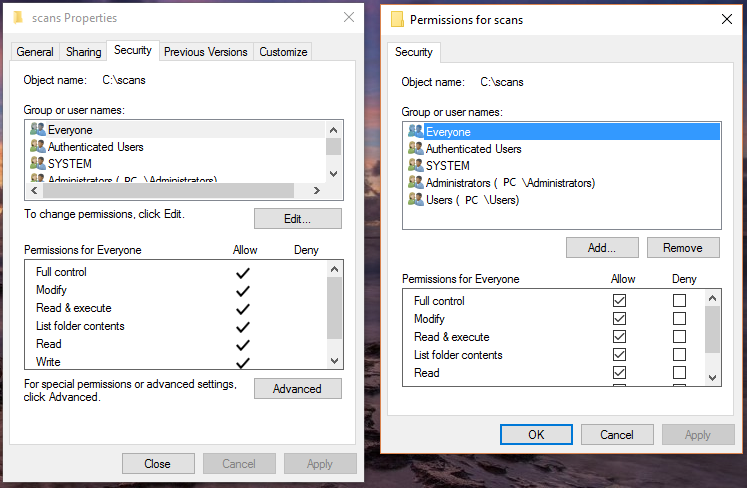 Set the folder permissions – Click on the security tab of the folder properties. Click edit. Click add. Type “Everyone” in the box and then hit OK. With Everyone selected, Click Allow, Full Control. Click OK.
4. 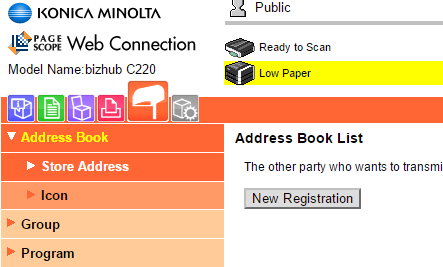 Now let’s program the Konica/Minolta Bizhub. 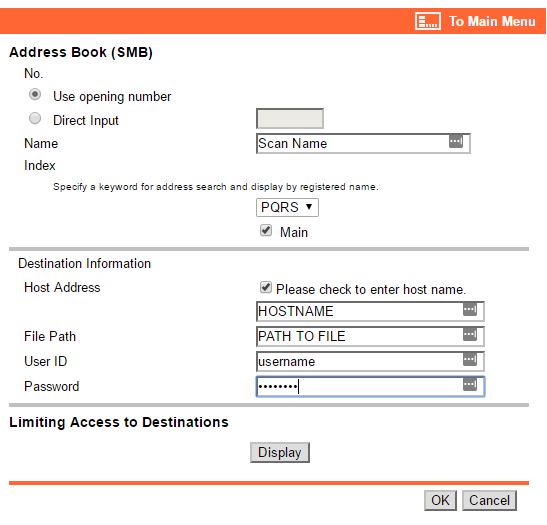 Login to the device using a web browser and typing on the IP of the copier in the address bar. 6. Select SMB and select OK.
7. Then in the Name field enter in a name for the Icon on the copier. Check the “Main” box..
You will type HOSTNAME in the Host Address field, and PATH TO FILE in the File Path field. For the User ID and Password, enter the Windows log on username and password. This is the username and password you use to log onto your computer. Alternatively, you can disable “Password Protected Sharing” on your PC and leave username and password blank. Click OK to complete.